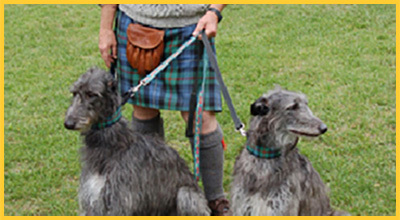 Doggies are proudly wearing tartan collars and leashes from the Heelan’ Hound. This makes them honorary members of the Clan McHowl. 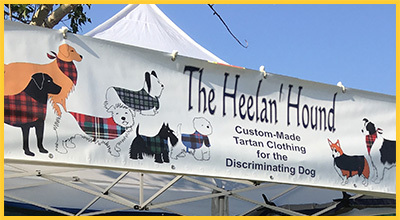 The Heelan' Hound is the preferred tartan clothier of discriminating canines with "Best in Show" pedigrees, pound puppies that are just plain mutts, or the lucky members of the family adopted from animal rescue. Any doggie member of your family can wear the tartan with pride. 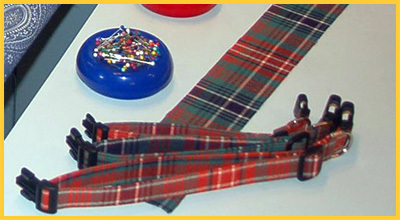 We give careful attention to the design and creation of each tartan dog product we make. 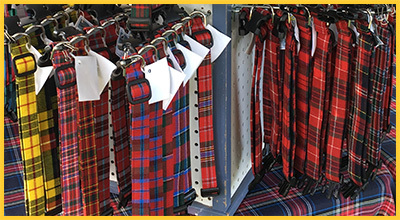 The Heelan' Hound line of distinctive authentic tartan clothing was created so that your dog may proudly celebrate its Scottish, Irish or "wanna be" heritage.